He’s big. He’s funny. He’s not real. Or IS he? This clever twist on “The Boy Who Cried Wolf” is told from the point of view of an unexpected narrator and, through snappy text and lighthearted illustrations, demonstrates the value of telling the truth, the importance of establishing trust, and (of course!) the possibility that a beast you created to get attention can become a real-life friend. "Entertaining and clever—and that’s no lie." Magoon retells “The Boy Who Cried Wolf” in a book whose suspenseful, funny pictures and surprise narrator trump its familiar plot. “This is the story of my friend Ben and how we first met,” says an offstage speaker, referring to a brown-haired boy. 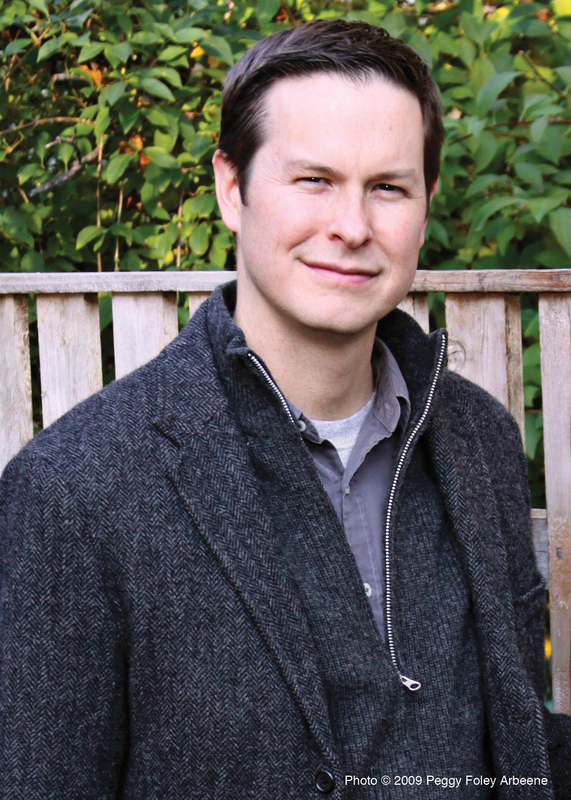 Ben “liked to tell stories,” and readers see him at a forest’s edge, alleging Bigfoot sightings to his weary parents, unbelieving sister, and neighborhood friends. Ben’s small dog acts as a barometer for Ben’s fibs, its expression going from tetchy to angry and then jolted by the “crick!” of a twig in the woods. “I didn’t normally talk to a Littlefoot,” explains the now-visible narrator, a towering Sasquatch. Ben looks on in shock while his dog merrily joins the creature for a spin on Ben’s bike. Magoon (Big Mean Mike) sets events some decades in the past, giving Ben an antique bike, vintage clothing, and old-fashioned camera and video equipment. While there’s still an emphasis on the importance of being honest, it’s clear that Magoon also sees value in Ben’s perseverance and sense of showmanship. Equally awesome is Bigfoot…True, his Bigfoot is hairy and irresistible. I also found his overall style to be strongly, appealingly Brooklyn-antiquarian—perhaps because the boy in the book rides a classic roadster bicycle that 20-somethings would love to be seen pedaling to their C.S.A. pickup. The pleasing optics, however, play second fiddle to the book’s midpoint Shyamalan-esque twist: The story is actually told from the perspective of Bigfoot. At this revelation, a pleasing pop of delight emerged from my 4-year-old test audience. Again and again. I was O.K. with that. With the right book in your hands, rereading is a pleasure. 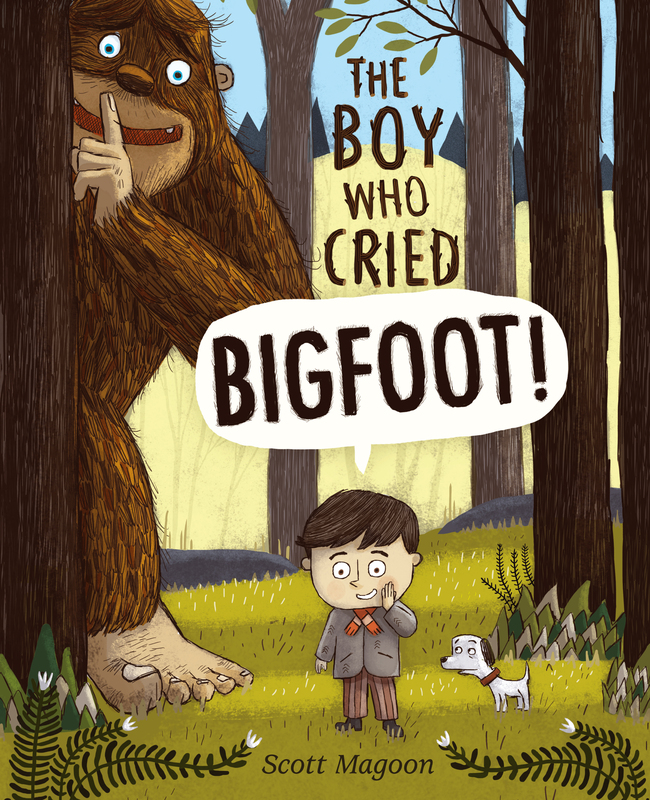 Book Cover Image (jpg): The Boy Who Cried Bigfoot!